A hypothesis is an educated guess about the cause of a specific phenomenon. It must always be based upon prior knowledge and observation. 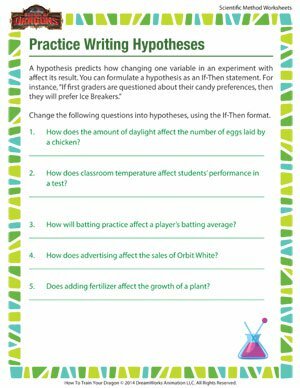 Use this printable scientific method worksheet to practice writing the perfect hypothesis. And don’t forget to try other scientific method printables, brought to you by the School of Dragons.